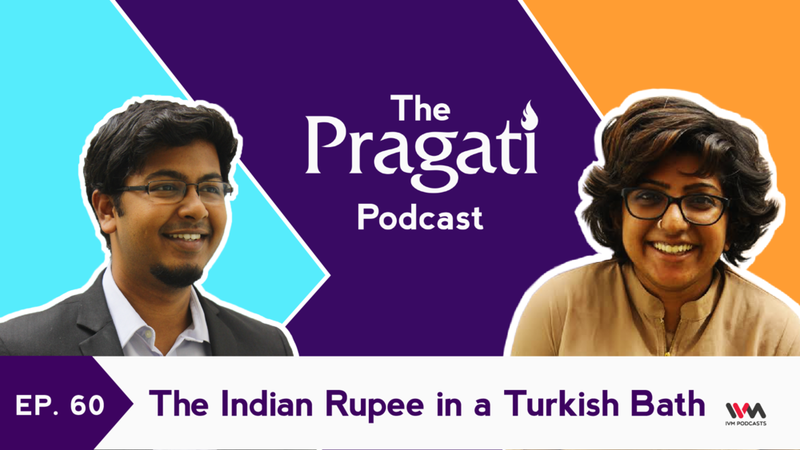 How do actions by President Erdoğan in Turkey affect the Indian rupee? What is the emerging market crisis that business channels keep talking about? How does changing geopolitics in the Middle East affect everyone from Brazil to China to Pakistan? Narayan Ramachandran returns to the Pragati Podcast on episode 60 to explain the great game of dominoes that is macroeconomics. Narayan is co-founder and Fellow at the Takshashila Institution, a social entrepreneur and an emerging market investor. He writes a regular column in Mint called A Visible Hand. Have any questions for Narayan, or hosts Hamsini Hariharan and Pavan Srinath? Write in to podcast@thinkpragati.com.